What do my donations to Riley Children’s Foundation support? Riley Children’s Foundation is the fundraising arm of Riley Hospital for Children. 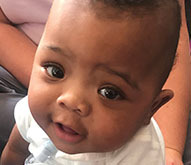 Donations are used to support groundbreaking pediatric research, patient programs that need additional funding, Riley Maternity and Newborn Health and Family Support Programs such as Child Life and Social Work. Click here to learn more about the impact of your donations. 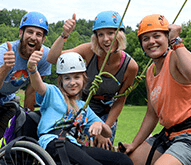 Riley Children’s Foundation also funds Camp Riley, which provides life-changing experiences to more than 200 children with physical disabilities each summer, and the funds and manages the James Whitcomb Riley Museum Home, which preserves the legacy of the great Hoosier poet and Riley Hospital namesake. What is the history of Riley Children’s Foundation? Friends of the beloved Hoosier poet James Whitcomb Riley formed The Riley Memorial Association, now named Riley Children’s Foundation, in 1921. 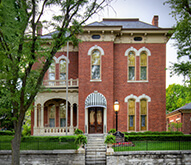 The group’s first project was to raise enough money to purchase and preserve Mr. Riley’s Victorian home in the Lockerbie neighborhood of Indianapolis, and open it to the public. The group further honored Mr. Riley’s legacy by building Riley Hospital for Children and opening Camp Riley for Youth with Physical Disabilities. Riley Hospital opened its doors and received its first patient in 1924. The history of Riley Children’s Foundation is one of generosity, shown by thousands of supporters who have made the hospital, camp and museum home such treasured resources. Who does Riley Hospital for Children serve? Riley is Indiana’s only comprehensive pediatric research hospital, with expert physicians in every pediatric specialty handling more than 300,000 patient visits each year. Riley and its regional clinics throughout the state serve children from all 92 Indiana counties as well as children who travel to Riley from other states and countries for specialty care and pediatric research trials. Riley is the only children’s hospital in Indiana that is nationally-ranked by U.S. News & World Report. What kind of pediatric research does Riley conduct? Riley is among the top pediatric research hospitals in the nation, thanks to its partnership with the Indiana University School of Medicine. Riley researchers are working on new treatments and cures for a wide variety of childhood illnesses including: cancer; heart defects; neurological disorders; asthma; cystic fibrosis; and diabetes. Riley physicians work closely with scientists in the Wells Center for Pediatric Research, which is connected by skybridge to Riley Hospital, enabling Riley to move discoveries quickly from the bench to the bedside. Riley is also home to the Children’s Clinical Research Center, the only center of its kind in Indiana. Children from around the globe come to Riley seeking hope battling difficult-to-treat diseases through clinical trials. Riley Children’s Foundation is a not-for-profit organization, section 501©(3). All donations are tax deductible to the extent allowed by law. How can I start my own fundraising event for Riley? Thank you for your interest in raising money to help Riley kids. Click this link for guidance on creating fundraising events and to learn how to set up your own Riley fundraising website. Can fundraising event organizers use the Riley name? Yes, however, promotional materials that use the Riley name must use the terms “...proceeds to benefit Riley Children’s Foundation” (or “Camp Riley” or “Riley Hospital for Children”). Riley Children’s Foundation is the beneficiary, rather than sponsor of all fundraising projects and events. Therefore, Riley’s name cannot be used in titles such as “Riley Run” or “Riley’s Lemonade Stand.” No references may be used in a manner that implies that Riley Children’s Foundation approves or endorses you, your website or your goods and services. Can fundraising event organizers use the Riley wagon logo? Generally, logo requests will not be granted. You may not use our logo without Riley Children’s Foundation’s specific prior written authorization. This requirement applies to broadcast promotions, all printed materials, Web content and any other promotional information related to your event. Images for specialty items such as t-shirts, caps, buttons, pins, coffee mugs, etc. must be submitted for approval prior to production. For more information on events, click here. How can I request promotional items for a Riley fundraising event I am organizing? Please email us at eventinquiry@rileykids.org or call 317-634-4474. To maximize the help we can provide to children at Riley Hospital, we ask that you order only what is needed. Can I make my gift in memory or honor of someone? Yes, it is simple to make a tribute gift. Look for the “Tribute Information” section of our online donation form, and indicate the name of the person you would like to honor with your gift. We will ask you to provide the address of the honoree or their family so we can notify them of your gift, however, the amount will remain confidential. Can I designate my gift toward a specific program at the hospital? Yes, you can indicate the area you would like to support by making a selection in the “Available Programs” section of our online giving form, or by writing your preference in the subject line of your check. You can also make an unrestricted gift, which allows Riley leadership to apply your funding to the areas of most critical need. Can I help a specific family with their medical expenses through Riley Children’s Foundation? Our organization serves as the fundraising arm for the hospital as a whole. We are unable to direct donations toward individual families. However, gifts you make to Riley Children’s Foundation can be made in honor or memory of a patient or caregiver, and you can choose to channel your donation to a specific hospital program if you wish. How much of my donation to Riley Children’s Foundation goes to support Riley? Riley Children’s Foundation values ethical stewardship of donor funding and careful use of resources to maximize the help we provide to children. Less than 21 cents per every dollar we raise is used to offset our fundraising costs, compared with the average of 31 cents per dollar among nearly 1,700 member hospitals within the Association of Healthcare Philanthropy. How can I include Riley in my will or estate plans? Planned or estate gifts enable you to make a meaningful gift to Riley after your family’s immediate needs are met, and can also provide tax benefits. To learn more about creating your legacy to benefit Indiana children, click here. I am interested in naming a room at Riley Hospital or creating an endowed fund. How can I learn more about naming and endowment opportunities? Click this link to explore gift options that help you leave a legacy at Riley Hospital or Camp Riley. How can my company get involved in supporting Riley? Riley Children’s Foundation has many rewarding partnership opportunities for caring businesses and their employees. Click here to learn more. How do I submit my child’s Riley story for consideration in publications such as Riley Messenger and the Riley Blog? Do you accept donations of toys, books or other items? Riley Children’s Foundation focuses on monetary donations, which are the most efficient way to take care of the most urgent needs of Riley patients. Making a financial gift also minimizes problems such as storage, over-abundance of certain items and infection risks. If you want to make a gift that brings joy and comfort to children at Riley Hospital, we are happy to accept your financial donation and direct it toward the Riley Child Life staff. Contact Cara Lathrop for more information at clathrop@rileykids.org. Certain non-monetary donations can be accepted by the Cheer Guild at Riley Hospital, however, strict guidelines are in place to ensure patient safety. (For example, no cards or used toys can be accepted due to infection control policies.) You can reach the Cheer Guild by calling (317) 944-8705, or by emailing director Ann Hannan at ahannan@iuhealth.org. How can I volunteer at Riley Hospital? Indiana University Health Volunteer Services coordinates volunteer opportunities at Riley Hospital. Click here to visit their website and learn more. My question wasn’t answered above. Who can I ask for more help? Please feel free to call the Riley Children’s Foundation office at (317) 634-4474 or toll-free at 1.877.867.4539. 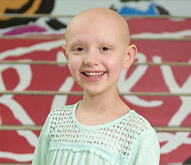 Our office is open Monday through Friday from 8 a.m. – 5 p.m. You can also email your question to riley@RileyKids.org.